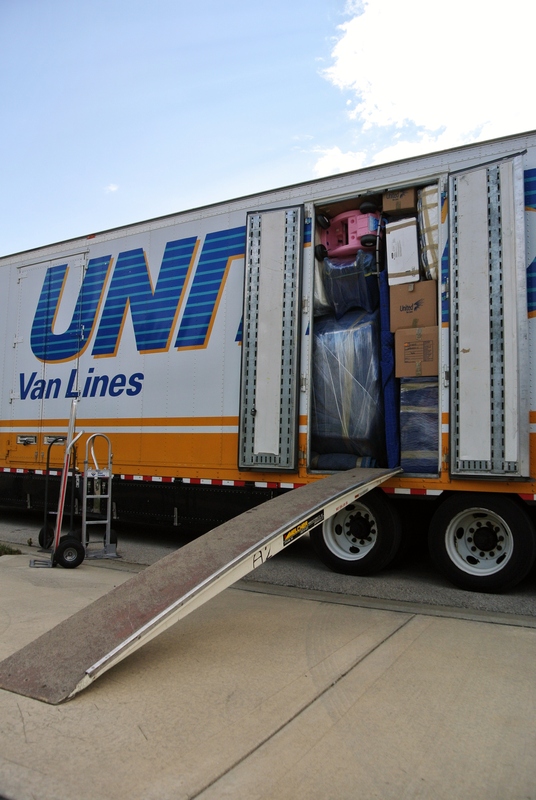 It’s been a few weeks since we bid adieu to our condo in New Jersey and hauled our family of four halfway across the country to Kansas City, Missouri. It took nearly two weeks for our belongings to arrive. Since I’ve been through this before, I understand that the truck needs to make several other pick-ups and deliveries before making it to my new home. The moving company scheduled our big delivery for the same day that my kids were starting school. Talk about a busy day, but hey, I wasn’t going to turn down the opportunity to get my own bed back! We took our kids off to school that morning, met their teachers and then took a brief moment to ponder whether we were thrilled for them or sad for us. Or both. 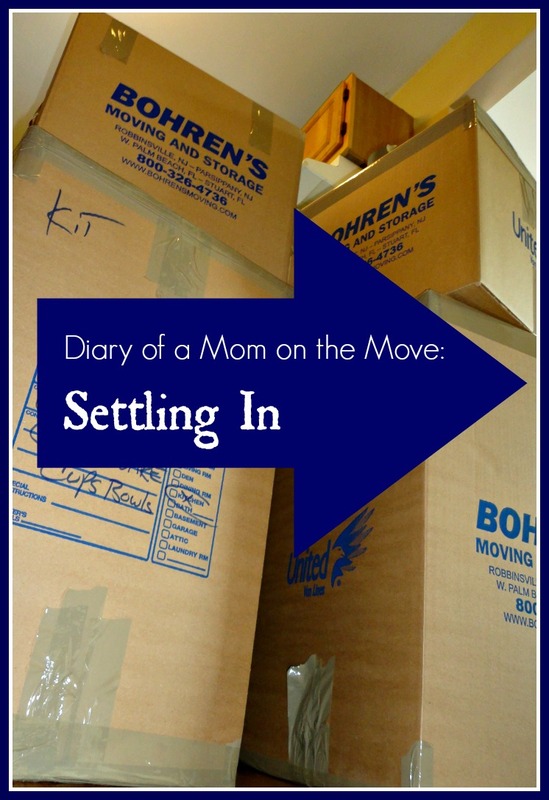 No time for all that mushy stuff – movers were coming! We raced home and just minutes later a United Van Lines truck entered our tiny street and we watched in awe as it was parked with precision. When our movers opened the side door on the truck, I gagged a little. I have seen a lot of moving trucks in my day but this one was packed tighter and higher than any other I have ever witnessed. Not to mention my bed that I was missing so badly, was wrapped in plastic and tied to the back end of the truck. Cue heart palpitations. After some precarious moments on a ladder that we let the movers borrow, they were able to gingerly pluck a few items out of the crammed cargo. It was like watching a strange game of Jenga- Moving Edition. I prayed silently that no one would tumble off a ladder or get squished by falling Shedek family debris. My prayers were answered. Luckily, these guys were pros and didn’t flinch at the tighter-than-usual contents of the truck. The day went off without a hitch, for the most part. Box after box, the movers carried our belongings into our home as we directed them to the appropriate rooms. At lunchtime, we got a little surprise when three kids popped out of the cab of the moving truck. It turned out that the driver brings his wife and kids wherever he goes. His wife homeschools the kids on the road and the children get an unparalleled lesson in American geography each day. To say they were a fascinating family would be quite the understatement! The next couple days I spent hours up to my knees in packing paper as I waded through the boxes and rediscovered my own possessions. This was probably the worst move we’ve had in terms of damages, which was a little disappointing. A crockpot, jewelry box, exercise equipment, pantry and a few other items showed up practically destroyed. The frustrating part is that all of the items were packed by one careless person in New Jersey and the rest of our belongings were meticulously cared for and packaged perfectly. Unfortunately, it only takes one poor packer in the bunch to wind up with damaged goods. But we filed our claims and were reimbursed for the items. My favorite part of unpacking is watching my own possessions transform. The wall art that I was growing tired of in the living room finds new life in our basement’s home theater. The photos of my kids that sat on my Jersey mantle add a new flair to my living room bookcase here in Kansas City. Perhaps it’s a lesson that anyone can learn from – sometimes your home décor just needs a remix! Two weeks after our moving truck delivered our belongings, we threw a 3rd birthday party for our youngest daughter and hosted eight family members for three days. If that isn’t a test of whether you have settled and know where everything is, then I don’t know what is! But the truth is that it was a great way to share our new beginning in Kansas City with our families and celebrate our return to the Midwest. Final Moving Lesson: There will always be bumps in the road during a move but if you plan carefully from the beginning, those little inconveniences won’t break your spirit completely. So put in the work upfront and then sit back and enjoy the journey! Great Post.. Nice illustration as logo. 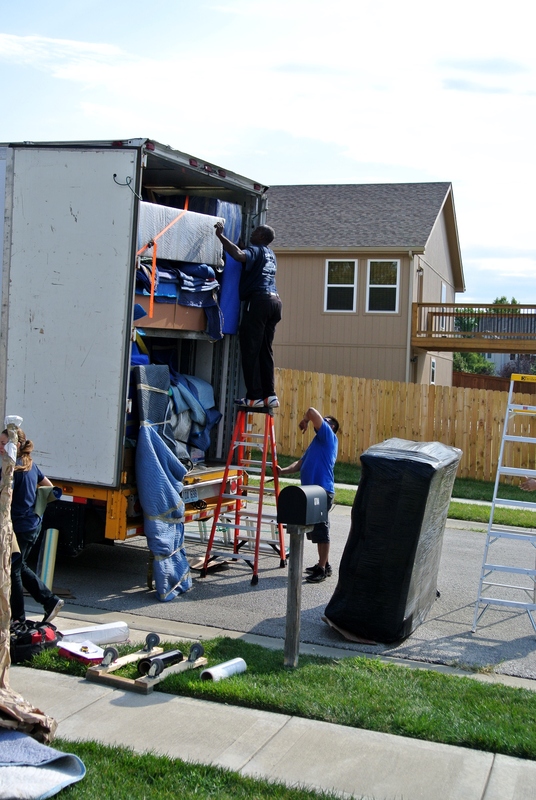 Next story Awesome apps that will make your move SO much easier!